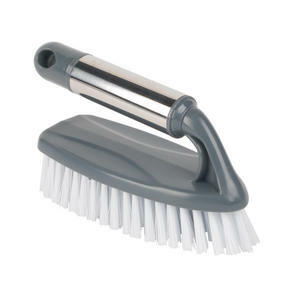 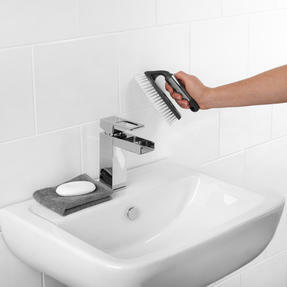 Make light work of scrubbing and cleaning around your home with the heavy duty Household Scrubbing Brush with Handle from Beldray. Ideal for use on hardwood floors, decking and tiles, with the raised handle making for minimal contact with harsh cleaning detergents. Designed to last, this scrubbing brush is constructed from durable materials and finished with a stainless steel handle for comfort. 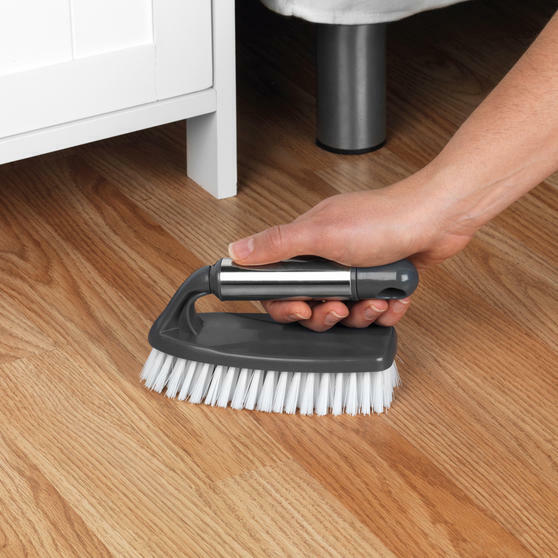 The perfect addition to household cleaning accessory sets, this scrubbing brush comes complete with a comprehensive 1 year guarantee. Measuring 15.5l x 6.5w x 9.5h cm, this hard wearing scrubbing brush makes it easy to reach and clean awkward areas such as behind taps.